Towards the end of last year, I had the opportunity to chat with Mr. Kondo of Narita Airport Resthouse, a hotel just five minutes away from the Terminal 1 of Narita International Airport. He told me that they had already arranged to offer Halal menus to their Muslim customers. They have been providing in-flight catering services to the Malaysian Airlines Customers for the last 12 years now. 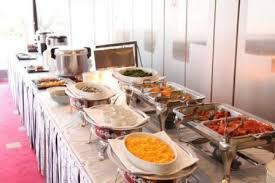 Now, they have taken the next steps to offer the same quality halal menus to the customers who stay at their hotel. They also plan to set up a 100% halal restaurant at Terminal 2 of Narita Airport. Following is the video of the chat we had with each other.